AdCombo - Affiliate CPA network reviews and details. AdCombo is a dynamic CPA network which provides the best payout rates with high conversion landing pages and offers to clients. Founded in 2014, AdCombo has already made itself as a beneficiary and reliable affiliate network. Moreover, affiliate managers at AdCombo are all flexible and helpful persons who work closely with both advertisers and publishers. Adcombo can be considered one of the best affiliate marketing programs for any advertisers at any level. You can check AdCombo reviews and Offers on Affbank and ask AdCombo Team any question by using the contacts above, especially about how to earn money! AdCombo has a really good number of offers. Them targeting tier 2 countries is great for some of my projects and campaigns. Their support team is also well above average compared to most of the other networks. I've registered in Adcombo recently and I haven't reggretted. Support helps me everywhere and at any time! It's super cool. They have many offers in all niches, payouts are stable. One thing is not so comfortable for me - it is filters but I get used to it. I've registered in Adcombo recently and I haven't regretted. Support helps me everywhere and at any time! It's super cool. They have many offers in all niches, payouts are stable. One thing is not so comfortable for me - it is filters but I get used to it. Adcombo is the best affiliate network i have been working with. They provide a stable offers with a competitve payouts and what is more important never delay with the payment. It has high approve rate. Last time i runned Money Amulet with ROI 120%! Thank you guys, especially to Adcombo support. one the best affiliate marketing, they are good in implementing and fast responder. Payments are stable and flexible. There are moments of individual approach. The CPA market is gigantic and here they are seriously discussing what and how can you optimize with you to achieve the goal. Super fast suport, you can even find a manager in their telegram chat! Adcombo is one of the biggest affiliate network and the most trustfull, as for me. They never let you down, you can ask your manager any question and they will find you needed information. They have competitive payouts and never shave crazy %. Adcombo, according to me is the best affiliate marketing platform for a newbie to explore the affiliate marketing as well as for experienced affiliate marketer too to boost their earning from affiliate marketing campaigns.Conversion is also high as well as offering multiple payment methods to withdraw payouts. Very good network with big amount offers on different verticals. Responsive support, always prompt and help. Convenient withdrawals, there are always promotions and bonuses for webmasters. Well built network with amazing support and various payout options but it appears their offers did not convert well for my traffic. I would like to leave a short comment about Adcombo too. Great Network weekly payments and professional support. It`s always a pleasure to work with you guys! The best network I've worked with. , always paying on time :) The AMs are so professional and helpful and I can definitely say - I will continue working with adcombo for sure in the future !!! Good variety of offers and easy platform, but in a lot of geos the approval rate has been lower than other networks for us. Daily payments which is nice. AdCombo is "ok, but not the best" CPA in my opinion.I've been working with AdC for a long time, but stopped it about 6 month ago. Why? I realized that there are CPAs with better support, better payments etc. I cannot see any point in working with AdCombo, because when they became big and popular, they stopped give attention to webmasters. As a novice, should say: "Wow, what a cool Affiliate network" So intuitively everything is clear. Cool control panel, responsive managers!AdCombo set a very high level. Keep it up! I have worked with AdCombo since 2016 as an affiliate. It's a really reliable network. Nice admin panel, fast offer approval, good support, and convenient payment terms. To be honest, there is really nothing to say except that this is the best network I ever used. I like everything about it. Support is great. Really. These guys solved so much of my problems. CPA God bless you dudes! Moreover I totally like offers. And finally - payouts! Awwwww yeah! Quick and easy. I adore this network! It's pleasant to work with these guys. After six months I have some conclusions:- Kindly and flexible supports - Nice offers and payouts - Sometimes approve in some GEOs not actually good, but again, supports always helped me with that. So I'm satisfied)) - I never had problems or delays with my payouts from the account - They have many practical main options. It's very convenient for me as webmaster.Don't doubt, it's a cool network. The best network of partners I've worked with. 1. Excellent user-friendly interface, with full functionality, including support for faceboor pixel and Postback. 2. Detailed statistics, on everything you need. This saves you time while optimizing your advertising campaigns. 3. Flexible work with landings, and widgets on them! 4. Stable, timely payments. 5. Super competent managers who will help to choose an offer, pick up personal conditions and just help with advice. Outcome: I'm incredibly glad that I found AdCombo Try it yourself. Their support is ABSOLUTLY best in all Affilate marketing. Their managers are available 24/7! They will help with any problem. Also they have chat and channel at Telegram with very usefull information. They have pretty much offers for Europe and Asia with high payots if you compare with other Aff networks. The same i can say about approve level. It's a little higher than in other Aff networks. AND I HAD NEVER HAD ANY PROBLEMS WITH PAYOUTS! So with my full confidence I can say that this guys are best! The CPA market is gigantic and Adcombo will help you to achieve your goals. There is no shortage of offers and great support. They're the best for now. This is my favorite cpa network! Thanks to my support manager for helping. I grown up as a professional webmaster here with AdCombo. These guys are simply the best! All managers are very helpful, they are real professionals. I want to thank my manager Jane for her willingness to respond to all my questions, to advise me every time I need and to support in any case. Adcombo is a highly professional CPA network nice to deal with! Very good support team, they are always ready to suggest relevant offers and with technical and non-technical questions. And thanks to AdCombo's tracking system we, as developers, can easily connect it to our own web sites. Also they have many offers with wide range of GEOs + regular payouts with various payment methods. I was a newbie when started working with AdCombo. And they have such a helpful support team - I asked lots of questions and they always tried to help me to increase my conversion rates and to make campaigns just right. Also, they are the first who get brand new offers so it's easier to advertise. I've been working for AdCombo for a year now and not going to change something! No comments...just the best CPA partner! Hope to see you guys at the ADdays Budapest. Adcombo, I love your new offers! It's a real treasure, thanks! As of today, I've had nothing but good experiences with AdCombo. They have good offers and good payment options. Amazing network. Great to work with. Will provide me with any information and was very patient to me when I just started with their platform and needed help. I loved the network as well due to it;s flexible 3 times payout 2 each for paypal. Upon that offers are great as most of those are COD. I have good experience with Adcombo. 5 stars! Ad combo has multiples payment methods used by its. One of the best CPA network that i work with. it has a lot of different offer from the other network. the COD offer is the best. The support is very informative and the payment is weekly. Amazing Network to work with, My AM Kate is wonderful as she's very proficient in English and loves interaction with Affiliates and help them with everything about the offer, Knowledge Series etc. I loved the network as well due to it;s flexible 4 times payout 2 each for paypal and Paxum users. Upon that offers are great as most of those are COD. I have good experience with Adcombo. Good payouts and regular withdraws is very important for me and Adcombo take 5 stars from me for it! From the first minute I fell in love with working with this network. Always up-to-date offers, reliable support, sweet payouts - all you can ask for! Work with AC for 2 years and it never failed me yet. Great payouts, fantastic support from my AM Jane . just try it! Perhaps this is the best network I've ever worked with! The most important thing is support! It is very pleasant to communicate and respond fairly quickly! I hope the grid and dalesh will develop! Gostaria de elogiar essa Rede CPA, tem ótimas ofertas e um suporte atencioso! A facilidade de encontrar Landing e prelandings traduzidas conforme o país da oferta que quero correr, isso é excelente, acredito que tem um ótimo futuro essa REDE notaa 1000..! Thanks to AdCombo, I can work from my house. Now I can spend time with my family and earning more than a conventional work. The affiliate managers are the most helpful and nice people I have ever met. 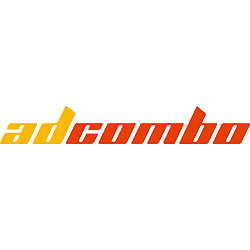 AdCombo is a good choice if you are a hardworking professional looking for the best partner in industry. I've been with them for years now and I'm not planning to switch networks. I've been working with adcombo for a year now and it's an awesome network! Really helpful support team, great offers with really cool landing pages and, what is more important, good conversion and payouts. Definitely will continue working with them in the future! Hey team. I ve tried a lot of CPA Networks. In some there are low payouts, in others support sleep and are not very responsive. So what can I say about Adcombo: here Ive found everything I wanted. Great health & beauty offers + good converting landing pages, moreover their Affiliate Managers are very experienced and helpful! As for disadvantages, network has little amount of offers, I would like to have more choice. In general, I’m satisfied. it 's a great i like it. J’suis vraiment contente de trouver Adcombo!! Je ne m’inquiète pas avec eux! Je recoie le paiement chaque fois a temps, on a le support bilingue, c’est très comfortable. merci ADCOMBO! I was working with another websites earlier when i heard about Adcombo and decided to give it a go, I WORRIED REALY. But I have been consistent on my earning since then and have always earned way more than what i used to earn through other sites. I am really happy with you guys. Being a student, i cant ask anything more. They have 24×7 support, either through mail, or through skype. Their payments are always on time, my first payment was 5 day earlier!!!! Hi all, I’m Felix. I work with Adcombo a long time, It’s a really nice Network! They have a really responsive support. Best network I have ever worked with! !